The US is a massive, complex economy, and so too are the component economies of the 50 states and Washington, DC, that make up the whole. 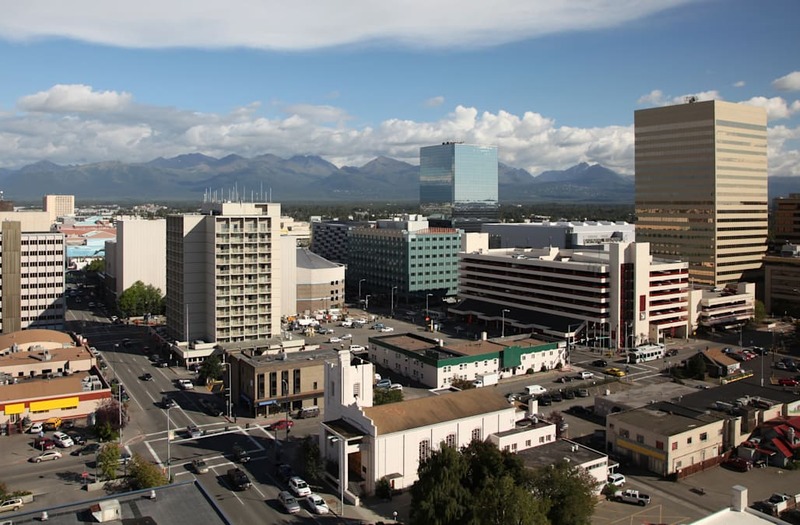 Alaska's economy has historically been largely dependent on its rich oil reserves. Unfortunately, Alaska came in at the bottom of our ranking. Although the state's Q3 2017 GDP per capita of $70,574and December 2017 average weekly wage of $1,012.09 were in the top 10 among the states and DC, Alaska's labor market was the weakest in the country, with the highest December 2017 unemployment rate at 7.3%. The state was only one of two that lost nonfarm payroll jobs between December 2016 and December 2017, with a 0.7% decline in employment. Louisiana scored poorly on several of our metrics. In particular, Louisiana's Q3 2017 GDP growth of 1.1%was the second worst among the states and DC, and its nonfarm payroll job growth of 0.3% between December 2016 and December 2017 was the fourth worst. New Mexico is home to the Los Alamos National Laboratory, where the atomic bomb was first developed during World War II. New Mexico's December 2017 average weekly wage of $723.07 was far below the average among the states and DC of $884.93, and its unemployment rate of 6.0% that same month was tied for second lowest in the country. South Dakota's GDP grew just 0.5% in Q3 2017, the lowest rate in the country. The state's average weekly wage of $733.50 in December 2017 was third lowest among the 50 states and DC. On the bright side, the December 2017 unemployment rate of 3.5% was lower than the average rate of 4.0%. Kentucky has traditionally relied on coal mining as a big part of its economy, but a shift toward alternate energy sources has hit that industry hard. Kentucky saw wage growth of just 0.8%between December 2016 and December 2017, the third-lowest rate in the country. The state's December 2017 average weekly wage of $769.89was the seventh lowest. Mississippi had the lowest Q3 2017 GDP per capita of $37,849 in the country, and the lowest December 2017 average weekly wage of $707.48. West Virginia has been one of the stateshit hardest by the devastating opioid crisis. West Virginia's December 2017 unemployment rate of 5.5% was the fourth highest among the 50 states and DC, and its nonfarm payroll job growth rate of 0.2% between December 2016 and December 2017 was the third lowest. The state's Q3 2017 GDP per capita of $42,770 was the fourth lowest in the country. Kansas saw one of the lowest rates of job growth among the states, with the number of nonfarm payroll jobs increasing just 0.4% between December 2016 and December 2017 — well below the average rate of 1.3%. In spite of that slow growth, the state's December 2017 unemployment rate of 3.4% was the 14th lowest in the country. Arkansas is home to Walmart, the largest private employer in the US. Arkansas' Q3 2017 per capita GDP of $42,552 was the third lowest among the states and DC, while its December 2017 average weekly wage of $736.40 was fourth lowest. On the bright side, workers were earning more than they were the year before: Wages grew 5.5% between December 2016 and December 2017, the 11th-highest rate in the country. Tennessee's central location makes it a hub for transportation and shipping, with FedEx's headquarters in Memphis. Tennessee had the second-lowest wage growth among the states and DC, with average hourly wages growing just 0.5% between December 2016 and December 2017. But the state's December 2017 unemployment rate of 3.2%was well below the national rate of 4.1%. Parts of Ohio have been hit hard by deindustrialization, but cities like Cleveland, Columbus, and Cincinnati still host mostly strong and diverse economies. While Ohio's December 2017 unemployment rate of 4.7% was tied for 10th worst among the states and DC, the state's Q3 2017 GDP growth of 3.9% was tied for sixth highest in the country. Montana's Q3 2017 GDP per capita of $45,521 was the seventh lowest in the country. On a happier note, the state's nonfarm payroll job growth of 1.8% between December 2016 and December 2017 was the 13th-best rate. While Philadelphia is home to several large companies — including Comcast — Pittsburgh has had a lot of success transitioning from manufacturing and steel to high-tech hub. Pennsylvania suffered from a relatively high December 2017 unemployment rate of 4.7%, but the state's Q3 2017 GDP growth rate of 3.2% was better than average. Northern Virginia is heavily dependent on nearby Washington, DC, and is home to several federal agencies and contractors. While Virginia's December 2017 average weekly wage of $960.83 was the 11th highest among the states and DC, wage growth was slower than in most states, with average weekly pay increasing just 1.2% between December 2016 and December 2017. New Jersey's proximity to major East Coast metropolises like New York City and Philadelphia help ensure a solid economic base. New Jersey had the sixth-highest December 2017 unemployment rate of 5.0%. But the state's December 2017 average weekly wage of $1,012.32 was the seventh best among the states and DC. Chicago is the third-largest city in the US, and it anchors the Illinois economy. Illinois is home to several major corporations like Boeing, Walgreens, and McDonald's. Illinois' Q3 2017 GDP growth rate of 3.5% was higher than the 2.9% average rate among the states and DC, and its GDP per capita of $64,365was higher than the average of $59,540. But the December 2017 unemployment rate of 4.8% was the seventh worst in the country. The oil industry has been a staple of Oklahoma's economy, and the state has been a big center of the fracking boom. Oklahoma fell in the middle of the road for most of our metrics. The state's 4.1% unemployment rate in December 2017 matched the national rate, and the Q3 2017 GDP growth rate of 2.8% was in line with the average growth rate among the states and DC of 2.9%. Vermont is home to coffee company Keurig Green Mountain, and its maple syrup is famous throughout the world. Vermont's 2.8% unemployment rate in December 2017 was the fifth lowest among the states and DC. Yet the state's 1.4% growth in average weekly wages between December 2016 and December 2017 was the eighth worst in the country. North Carolina's research triangle area is a growing center of tech and innovation, while Charlotte is a major financial hub, and home to Bank of America's headquarters. North Carolina was fairly middle of the road on our economic metrics. Nonfarm payroll jobs grew 1.7% between December 2016 and December 2017, slightly better than the average growth rate of 1.3% among the states and DC. Meanwhile, the state's Q3 2017 GDP per capita of $53,161 was a little below the average of $59,540. As the home of Las Vegas, the gaming and tourism industries are a major part of Nevada's economy. Nevada enjoyed the fastest job growth in the country, with nonfarm payroll jobs increasing by 3.3%between December 2016 and December 2017. However, the state had the fourth lowest rate of wage growth, with average weekly earnings increasing just 0.9% over that same period. Alabama is home to the Marshall Space Flight Center, one of NASA's main facilities for developing and building rockets. Alabama's December 2017 unemployment rate of 3.5% was well below the national 4.1% rate, but its Q3 2017 GDP per capita of $44,329 was the sixth lowest among the states and DC. The auto industry remains a big part of Michigan's economy, with Detroit continuing to be the hub of American car manufacturing. Michigan's 3.5% GDP growth rate in Q3 2017 was higher than the average rate among the states and DC of 2.9%, but the state's December 2017 unemployment rate of 4.7% was the 10th worst in the country. Pharmacy giant Express Scripts has its headquarters in St. Louis. Missouri had a better-than-average Q3 2017 GDP growth rate of 3.6%, but the state's December 2017 average weekly wage of $800.45 was the 10th lowest among the 50 states and DC. Diner giant Denny's calls South Carolina home, headquartered in Spartanburg. South Carolina had the sixth-fastest rate of job growth in the country, seeing a 2.2% increase in the number of nonfarm payroll jobs between December 2016 and December 2017. On the other hand, the state's Q3 2017 per capita GDP of $43,840 was the fifth lowest among the states and DC. Maine's biggest exported good is its world-famous lobsters. Maine's unemployment rate of 3.0% in December 2017 was the eighth-lowest among the 50 states and DC, but its Q3 2017 GDP per capita of $46,245 was the 10th worst in the country. Pharmaceutical giant Eli Lily was founded and is still headquartered in Indianapolis. Indiana fell in the middle of the pack for our economic metrics. Its December 2017 unemployment rate of 3.4% was better than the national rate of 4.1%, but its nonfarm payroll job growth rate of 0.9% between December 2016 and December 2017 was below the average rate among the 50 states and DC of 1.3%. Agriculture remains a big part of Iowa's economy, with over $9 billion of corn harvested in 2016. Among the 50 states and DC, Iowa had the fifth-lowest unemployment rate of 2.8% in December 2017, but the state's Q3 2017 GDP growth rate of 2.2% was the 11th worst in the country. New Hampshire's December 2017 unemployment rate of 2.6% was tied for second lowest among the 50 states and DC, and its Q3 2017 GDP growth rate of 4.4% was the third best. However, New Hampshire was the only state where wages went down between December 2016 and 2017, with average hourly earnings decreasing 1.2%. North Dakota's fortunes in recent years have been tied to the rise, fall, and partial return of the domestic oil industry. The fracking boom of the early 2010s led to a bonanza for the state, but the fall in oil prices starting in mid-2014 hit North Dakota especially hard. The recent recovery in domestic shale production has been a boon. North Dakota's December 2017 unemployment rate of 2.6%was tied for second-lowest among the 50 states and DC, while the state's Q3 2017 per capita GDP of $73,661 was fifth highest. But North Dakota's GDP growth of 1.7% was the fifth lowest in the country. Connecticut has traditionally been closely identified with the financial industry, with many hedge funders and investment bankers living in towns like Greenwich. Connecticut's December 2017 average weekly earnings of $1,050.90 was the fourth highest in the country, and its Q3 2017 GDP per capita of $73,529 was the sixth highest. Keeping it from rising higher in our ranking was its eighth-lowest rate of job growth, with nonfarm payroll jobs increasing just 0.5% between December 2016 and December 2017. Arizona had the fourth-fastest wage growth in the country, with average hourly earnings increasing 7.7%between December 2016 and December 2017. However, the state's Q3 2017 GDP per capita of $45,841 was the eighth lowest among the states and DC. While Idaho may be most famous for its potatoes, it's also the home of semiconductor giant Micron Technology, which manufactures memory chips. Idaho's December 2017 unemployment rate of 2.9% was the seventh lowest in the country, and its nonfarm payroll job growth rate of 2.1%between December 2016 and December 2017 was the eighth highest. But Idaho had the second-lowest Q3 2017 GDP per capita of just $42,046, and the fifth-lowest December 2017 average weekly wage of $759.36. An impressive number of major companies are headquartered in Minnesota, including retail giant Target and manufacturing conglomerate 3M. Minnesota's December 2017 unemployment rate of 3.1% was tied for 10th lowest among the 50 states and DC, and its December 2017 average weekly earnings of $969.20 was the 10th highest. The smallest state by population has a thriving mining sector. Wyoming had the fastest wage growth in the country, with average weekly earnings increasing 9.9%between December 2016 and December 2017. The state had the seventh-highest Q3 2017 GDP per capita, at $71,263. Florida is the third-largest state by population, and is home to a thriving and diverse economy. Florida had the fifth-fastest pace of job creation among the 50 states and DC, with the number of nonfarm payroll jobs increasing 2.5% between December 2016 and December 2017. However, the state's Q3 2017 GDP per capita of $46,542 was the 11th lowest in the country. Hawaii's beaches attract tourists from around the world, and the island state is home to several key US military bases supporting American forces in the Pacific. Hawaii's December 2017 unemployment rate of 2.0% was the lowest in the country, and the state had the sixth-highest wage-growth rate, with average weekly earnings increasing 7.1% between December 2016 and December 2017. Yet Hawaii's GDP growth rate of 1.3% in Q3 2017 was the third lowest among the states and DC. Atlanta is a bustling metropolis, and its airport is the busiest in the world. Georgia's 6.3% increase in average weekly earnings between December 2016 and December 17 was the eighth-highest rate among the 50 states and DC, and its job-growth rate was 11th highest, with nonfarm payroll jobs increasing by 1.9% over that same period. New York City is the financial capital of the US and arguably the world. New York's Q3 2017 GDP per capita of $78,678 was the third highest in the country, and the GDP growth rate of 4.0% in that quarter was the fifth highest. The Empire State's December 2017 average weekly earnings of $1,017.03 was the sixth highest. Owing to its historically corporate-friendly legal and tax systems, a great number of US companies are legally incorporated in Delaware, even if their headquarters and the bulk of their actual business are in other states. Delaware's Q3 2017 GDP growth rate of 5.7% was by far the highest in the country, and its GDP per capita of $78,730 that quarter was the second highest. But Delaware was one of only two states to have a decline in the number of jobs, with nonfarm payroll jobs falling 0.1% between December 2016 and December 2017. Wisconsin's December 2017 unemployment rate of 3.0% was the eighth lowest in the country. Average weekly earnings grew 6.2%between December 2016 and December 2017, the ninth-highest rate among the 50 states and DC. Oregon had the second-highest rate of job growth in the country, with the number of nonfarm payroll jobs increasing 2.7%between December 2016 and December 2018. Oregon's Q3 2017 GDP growth rate of 3.8% was the ninth highest. Maryland's proximity to Washington, DC, makes the state the home of large parts of the federal government. Maryland's average weekly earnings of $1,010.33 in December 2017 were the ninth highest among the states and DC, and those wages are growing: Earnings increased 7.2% between December 2016 and December 2017, the fifth-highest rate in the country. Rhode Island had the third-highest rate of wage growth in the country, with average hourly earnings increasing 8.3%between December 2016 and December 2017. The state's Q3 2017 GDP growth rate of 3.5% was well above the average rate of 2.9% among the 50 states and DC. While Nebraska remains a major agricultural state, Omaha is the home of legendary investor and Berkshire Hathaway CEO Warren Buffett. Nebraska's December 2017 unemployment rate of 2.7% was the fourth lowest among the states and DC. Average hourly earnings grew 9.7% between December 2016 and December 2017, the second-highest wage-growth rate in the country. Utah had the third-fastest rate of job growth in the country, with the number of nonfarm payroll jobs increasing 2.6% between December 2016 and December 2017. Utah's Q3 2017 GDP growth rate of 3.9% was the sixth highest. California's economy is incredibly massive and diverse, ranging from farms that grow much of the nation's produce to the glittering labs and campuses of Silicon Valley. California's December 2017 average weekly wage of $1,050.53 was the fifth highest among the states and DC, while its Q3 2017 GDP per capita of $69,589 was the ninth highest. Denver is one of the fastest-growing metro areas in the US, with a booming real-estate market. The rest of the state, including Boulder, is booming as well. Colorado scored well across the board on our metrics. The state's 3.1% unemployment rate in December 2017 and 2.0% increase in nonfarm payroll jobs between December 2016 and December 2017 were both the 10th best among the states and DC. While the oil fields of West Texas are still a big part of the state's economy, the three big cities of Dallas-Fort Worth, Houston, and Austin are all business and corporate hubs. Texas' Q3 2017 GDP growth rate of 5.0%was the second highest among the states and DC, and it had the fourth-highest rate of job growth, with the number of nonfarm payroll jobs increasing 2.5% between December 2016 and December 2017. The Boston area is home to several world-class universities and colleges, and the city boasts a thriving tech and biotech sector as a result. Massachusetts' December 2017 average weekly earnings of $1,095.45 was the third highest in the country, and its Q3 2017 GDP per capita of $77,360 was the fourth highest. Washington hosts a tech scene that rivals California's Silicon Valley, with mega-corporations like Amazon and Microsoft calling the state home. Washington's December 2017 average weekly wage of $1,107.20 was the second highest in the country, and its Q3 2017 GDP growth rate of 4.3% was fourth highest. The state's rate of job creation was the seventh highest, with the number of nonfarm payroll jobs increasing 2.1% between December 2016 and December 2017. The nation's capital is different from the 50 US states in several key respects. Perhaps the most important for our ranking is that the entirety of the District of Columbia is a city, and urban areas tend to have more economic activity and higher wages than rural areas. That's reflected in our metrics and why DC came in the top of our ranking. DC's Q3 2017 GDP per capita of $190,737 and December 2017 average weekly wage of $1,464.37 were far and away the highest in the country, counteracting worse results like its second-worst December 2017 unemployment rate of 6.0%.